A little research and planning can mean the difference between an average vacation and an extraordinary one! Wander wisely in Old Orchard Beach by knowing a few basic facts about it before you jet off. 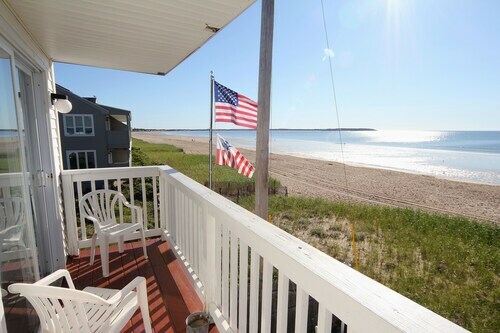 Old Orchard Beach is a neighborhood in the marvelous city of Portland. To reach it, travel 11 miles (18 kilometers) southwest of the center. Ready to meet the locals? 66,000 people call Portland home. Gain unbelievable savings on Travelocity's Old Orchard Beach fight and accommodation deals. You'll also have plenty to pick from with upwards of 400 airlines and 665,000 properties. Are you after a panic-free journey? Our Customer 1st Guarantee will provide you with 24/7 personal assistance on our services. Spotted a better deal elsewhere? We'll match the price and reimburse the difference^. If you'd like to adjust your reservations for any reason at all, there will never be a hidden charge from us. And so long as you get in quick, many accommodations won't charge you a fee either^. Old Orchard Beach offers good access to a decent variety of places to kick back and relax. Pick from 15 properties a short distance away and discover the true essence of this delightful neighborhood. Lay your head in comfort at the Americas Best Value Inn - Mt. Royal (30 W. Grand Ave) or the Seabreeze Motel (30 Milliken St). Whichever one you decide on, it will make a superb base for your getaway. Where do you fly into for Old Orchard Beach? All ready to kick-off your next incredible escape? 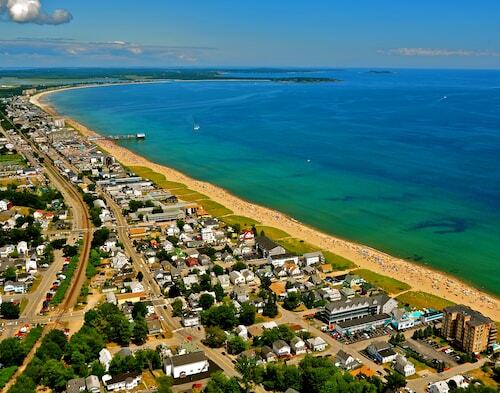 Well, Old Orchard Beach is approximately 10 miles (16 kilometers) from Portland International Jetport Airport (PWM). Can I rent a car in Old Orchard Beach? Take a stroll around Old Orchard Beach and appreciate the local culture. If you'd like to travel a little further afield, grabbing a rental car via Travelocity is a great choice. You can collect a car as soon as you leave your plane at Portland International Jetport Airport. It's hard to pass National Car Rental and Hertz. A couple of other places to investigate are Budget and Alamo Rent A Car. Make your way over to Enterprise and you'll be driving around town in a jiffy. They are situated at 869 Portland Rd, a short 3 miles (5 kilometers) from the heart of the city. Forget your history journals! Witness the past spring to life at Harmon Historical Museum. Seeking more nearby options? Whether you're aiming for a hole-in-one or just in the mood to practice your swing, you're sure to have a ball (pun intended) at Dunegrass Golf Club. But there's more. If amusement parks make your heart beat faster, look no further! Whether you enjoy a good thrill or you prefer a more laid-back pace, Palace Playland has a ride just for you. Ocean Park and Pine Point are well worth visiting while you are here. 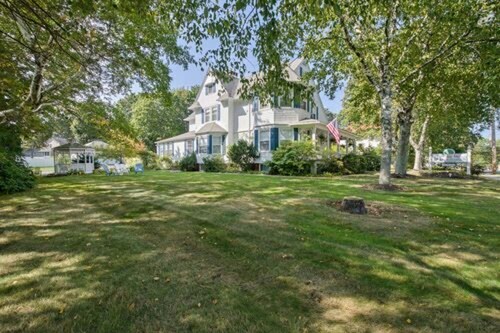 Ocean Park is approximately 1 mile (2 kilometers) away, and Pine Point is 2 miles (3 kilometers) away. 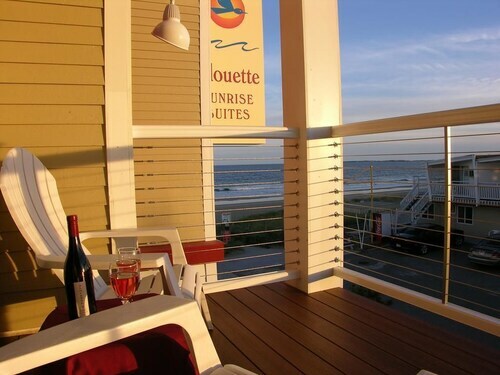 Situated in Old Orchard Beach, this hotel is within 1 mi (2 km) of Harmon Historical Museum and Old Orchard Beach Pier. Dunegrass Golf Club and Monkey Trunks Extreme Aerial Adventure Park are also within 3 mi (5 km). Old Orchard Beach Station is 8 minutes by foot. 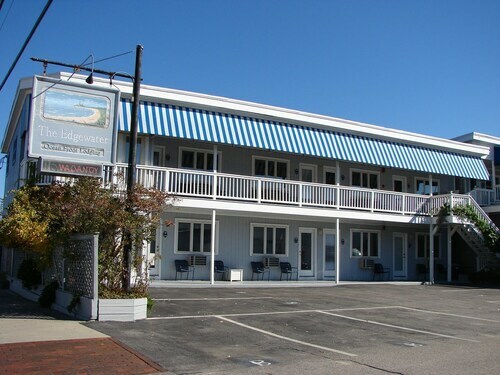 Situated by the ocean, this motel is in the same area as Old Orchard Beach Pier, Funtown Splashtown USA, and Scarborough Downs. Regional attractions also include Higgins Beach and Goose Rocks Beach. Nestled on the beach, this Old Orchard Beach motel is within 1 mi (2 km) of Harmon Historical Museum and Old Orchard Beach Pier. Dunegrass Golf Club is 2.1 mi (3.3 km) away. Old Orchard Beach Station is 9 minutes by foot. Nestled on the beach, this Old Orchard Beach motel is within 1 mi (2 km) of Harmon Historical Museum and Old Orchard Beach Pier. Dunegrass Golf Club is 1.9 mi (3.1 km) away. Old Orchard Beach Station is 13 minutes by foot. 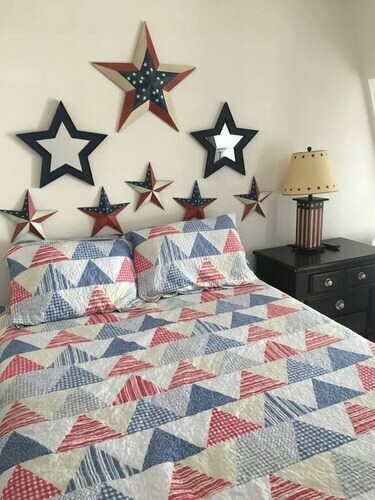 Situated in Old Orchard Beach, this hotel is within a 5-minute walk of Harmon Historical Museum and Old Orchard Beach Pier. Dunegrass Golf Club and Monkey Trunks Extreme Aerial Adventure Park are also within 3 mi (5 km). Old Orchard Beach Station is 6 minutes by foot. Nestled on the beach, this Old Orchard Beach motel is within 1 mi (2 km) of Harmon Historical Museum and Old Orchard Beach Pier. Dunegrass Golf Club and Monkey Trunks Extreme Aerial Adventure Park are also within 3 mi (5 km). Old Orchard Beach Station is 15 minutes by foot. Situated in Old Orchard Beach, this motel is within 1 mi (2 km) of Harmon Historical Museum and Old Orchard Beach Pier. Dunegrass Golf Club is 2.5 mi (4 km) away. Old Orchard Beach Station is 16 minutes by foot. 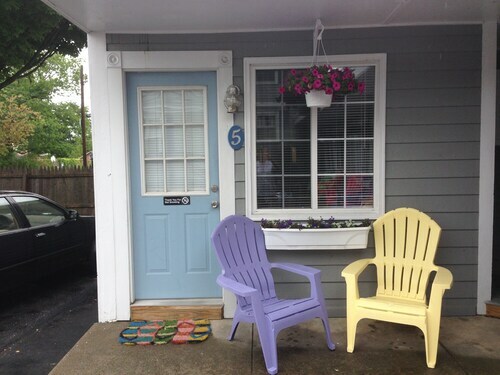 Situated on the Strip, this bed & breakfast is 0.3 mi (0.5 km) from Old Orchard Beach Pier and within 12 mi (20 km) of Scarborough Downs and Gorham Country Club. Maine Mall is 14.6 mi (23.6 km) away. Old Orchard Beach Station is 7 minutes by foot.